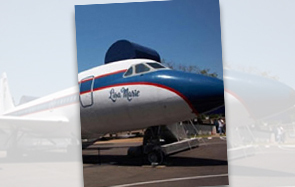 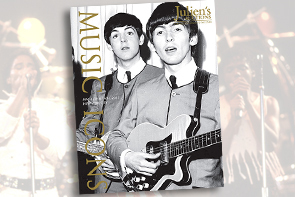 Hollywood memorabilia from The Collection of Cher to Barbra Streisand; rock memorabilia from Madonna to U2 to Jimi Hendrix, Elvis Presley and Michael Jackson; and Beatles memorabilia including items from John Lennon, George Harrison, and Ringo Starr and Barbara Bach. 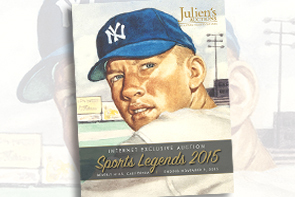 Our previous auctions and auction results can be viewed online. 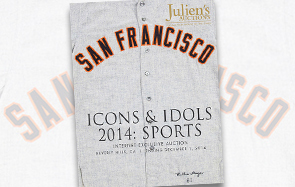 Print catalogs for upcoming and previous auctions are also available in our online store. 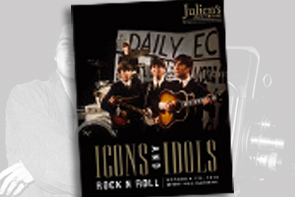 Julien’s Auctions proudly presents Icons & Idols: Rock n’ Roll 2015 featuring the most important Beatles guitar ever to hit the auction block — John Lennon’s original 1962 J-160E Gibson Acoustic Guitar. 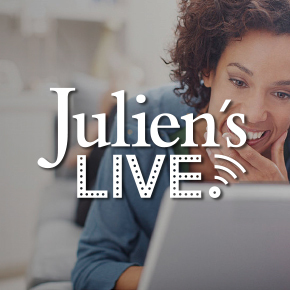 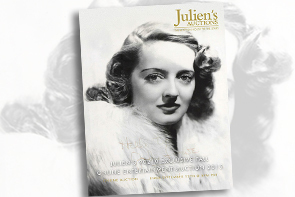 Julien’s Auctions presents a unique online-only entertainment auction that will occur twice a year in the Spring and Fall prior to our premier live auctions. 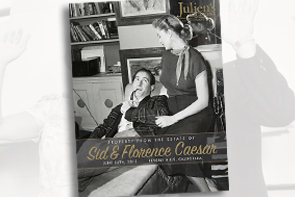 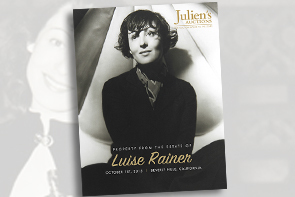 Julien’s Auctions is pleased to announce our annual Hollywood Legends auction Featuring Property From the Estate of Sid and Florence Caesar. 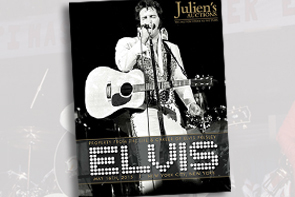 Julien's Auctions returns again to the Big Apple for the music memorabilia auction of the year at the Hard Rock Café in Times Square NYC on Friday, May 15th and Saturday, May 16th, 2015 beginning at 10:00 a.m. both days. 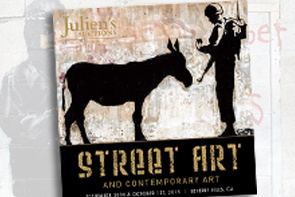 Julien’s Auctions is pleased to announce the upcoming “Modern Art” auction which will feature a rare collection of more than 35 works by renowned artist David Hockney, offering a glimpse into the creative mind of a living legend. 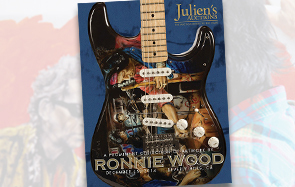 Julien’s Auctions, the auction house to the stars, located in Beverly Hills, is bringing to auction an unprecedented collection of original art works by the incomparable Ronnie Wood. 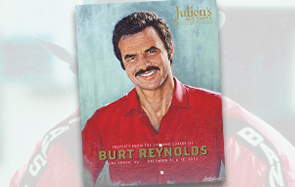 Julien’s Auctions invites you to The Palms in Las Vegas to celebrate the life and career of Burt Reynolds. 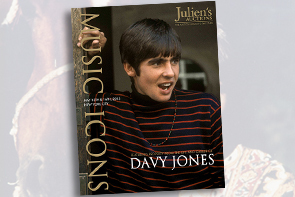 A master of comedy and drama, Reynolds is also an art collector, business man, rancher and father. 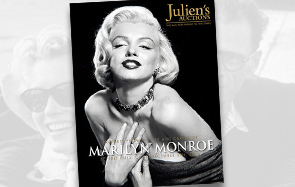 On Saturday, December 6th, 2014, Julien’s Auctions will again make history with an impressive collection of property from the personal and professional life of Marilyn Monroe. 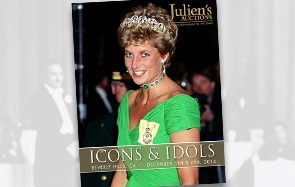 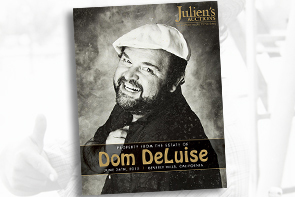 Leading up to The Property From The Gold and Silver Pawnshop, Julien’s 2014 Icons & Idols Auction on December 5 and 6, 2014 hosts another star studded event and journey through history. 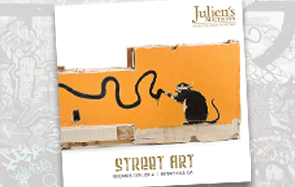 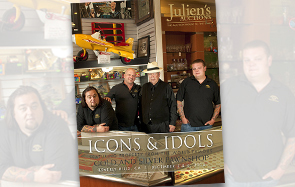 On Saturday, December 6th, 2014, Julien’s Auctions will be presenting an exclusive collection of historic items from the World Famous Gold & Silver Pawn Shop of Las Vegas.